Neck pain is very common, 2 out of 3 of us will have neck pain at sometime in our lives. Neck pain can occur suddenly after a jolt or accident, or can come on gradually over a period of time due to wear and tear. Neck strain may be due to lifestyle e.g. sitting at a computer for a prolonged time, poor posture or simply sleeping in an awkward position. Anxiety and stress can cause tension in the neck muscles which can lead to neck pain. Headaches can be a result of problems within the neck and are often due to stiff joints and muscle tension. 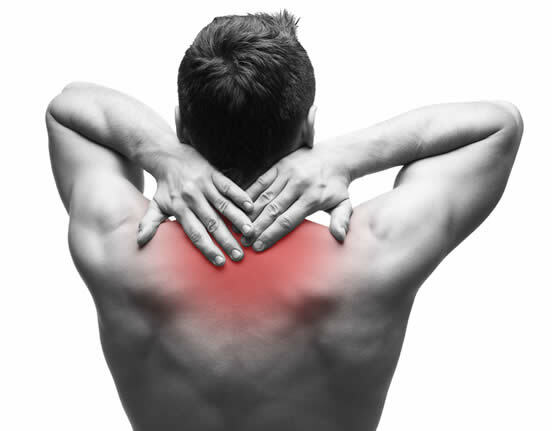 Pain can be experienced around the neck and shoulder blades, up into the head or along the arm and into the hand. How Can Physiotherapy Help Your Neck Pain?